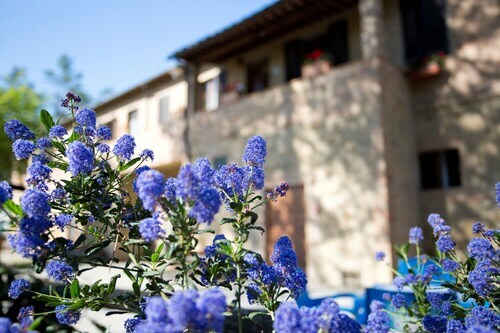 This family-friendly Chiusdino hotel is located in a rural location, within 2 mi (3 km) of Val di Merse, Eremo di Montesiepi, and Abbazia di San Galgano. I Canaloni del Torrente Farma and Castello del Belagaio are also within 20 mi (32 km). Situated in Chiusdino, this farm stay is 0.1 mi (0.1 km) from Val di Merse and 2 mi (3.2 km) from Abbazia di San Galgano. Siena Cathedral and Piazza del Campo are also within 25 mi (40 km). Situated in a rural location, this farm stay is steps from Val di Merse and Abbazia di San Galgano. Siena Cathedral and Piazza del Campo are also within 25 mi (40 km). 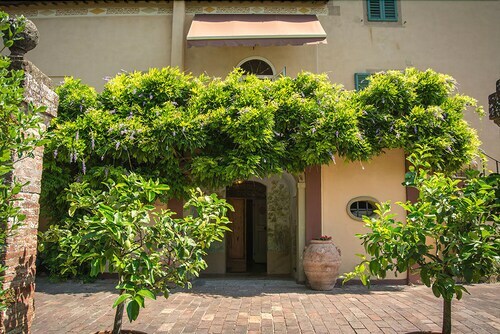 Situated in Chiusdino, this farm stay is 0.1 mi (0.1 km) from Val di Merse and within 9 mi (15 km) of Eremo di Montesiepi and Abbazia di San Galgano. San Leonardo al Lago is 12 mi (19.3 km) away. How Much is a Hotel Room in Chiusdino? 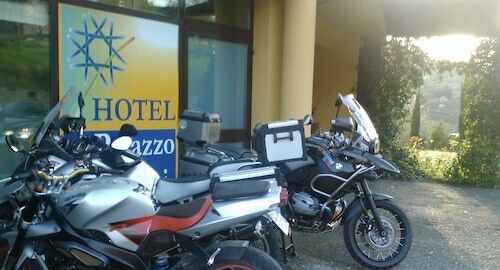 Hotels in Chiusdino start at $84 per night. Prices and availability subject to change. Additional terms may apply. You will find a wide range of rooms on Travelocity to consider when you are dreaming about your time in Chiusdino. Travelocity's extensive booking portal presently contains 10 establishments only a short drive from Chiusdino. You can book Agriturismo San Galgano and Tenuta di Papena within an easy stroll of the heart of Chiusdino. If you choose to book a place to stay positioned within a short walk from the Abbazia di San Galgano, the Relais Borgo Santo Pietro and the Da Vestro can be nice options. 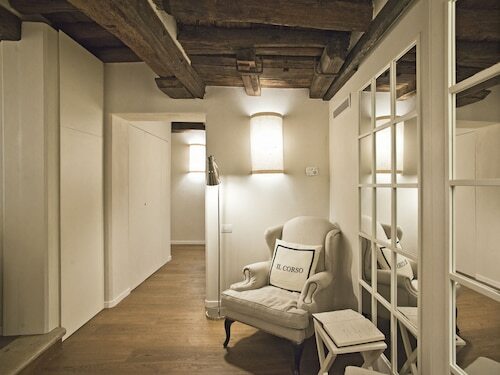 The Relais Borgo Santo Pietro is 1 mile (2 kilometers) away and the Da Vestro is 1 mile (2 kilometers) away. The Castello Di Casole can be found about 11 miles (18 kilometers) from the city center of Chiusdino. 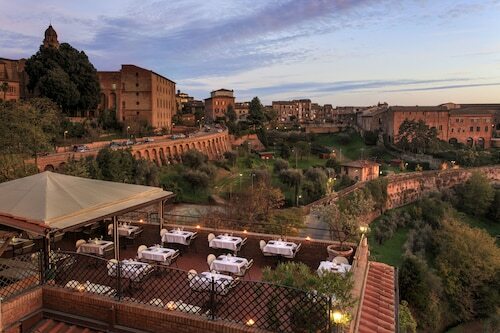 If you would prefer another option, the Grand Hotel Continental Siena – Starhotels Collezione is about 15 miles (24 kilometers) away. 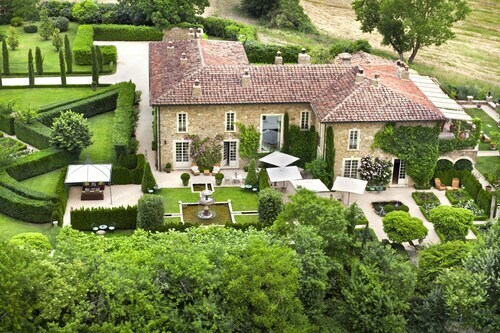 Alternatively, you might like to check in to the Relais La Suvera or the La Bagnaia Resort- Tuscan Living Golf SPA. The larger Tuscany region is certainly well worth seeing for yourself too. Explore Tuscany's ruins and be sure to photograph the region's rural landscapes, beaches and coastal plains. In this corner of Italy visitors can enjoy snowboarding. Looking for more to do? Consider spending a day or two discovering Archeological and Collegiate Church Museum and Torre Rognosa, which can be found in Val d'Elsa, 15 miles (25 kilometers) to the north of Chiusdino. If you're planning to spend a few nights in Val d'Elsa, check out the rooms at the Tenuta Di Mensanello and Torraccia di Chiusi. Or, you could stay in Val d'Orcia, 25 miles (42 kilometers) southeast of Chiusdino, where you can choose from the Adler Thermae Spa & Wellness Resort and Hotel Osteria Dell Orcia. While in Val d'Orcia, be sure to check out the Collegiate Church of San Quirico and Palazzo Chigi. Make sure you get a serving of sport by taking a voyage to Stadio Artemio Franchi, which you will find 45 miles (69 kilometers) to the north of Chiusdino. Those wanting to find Travelocity-listed accommodation close to the action can compare between the Four Seasons Hotel Firenze or the The St. Regis Florence. Peretola Airport is 45 miles (71 kilometers) away from Chiusdino's downtown area. 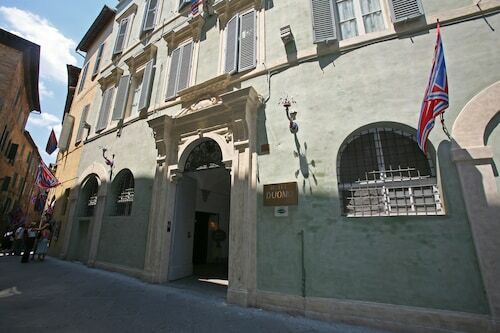 Visitors who wish to find a hotel nearby can easily secure a convenient option in the Torre di Bellosguardo or the Sina Villa Medici. 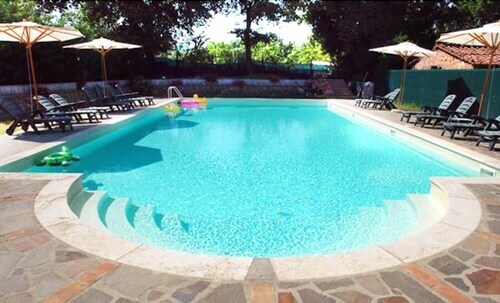 Borgo Paradiso 4+2 Sleeps, Villa With Private Pool at Exclusive Use!